Found in the southwest corner of Courthouse Square, Cotton Row Restaurant is more than just any other restaurant. The building housing the restaurant was built in 1821 along the cotton exchange. This comfortable restaurant has plenty of elegance and serves modern American cuisine. If you want to enjoy southern hospitality at its’ finest this is the place to go. No matter which meal you come in for, you won’t be disappointed with the menu. Cotton Row is very well-known for the great private dining options offered. They provide two private rooms: The Cedar Pipe Cellar and The Loft. The cellar provides nearly 5,000 bottles of wine and fits perfectly for intimate events with wine pairings. The Loft seats up to 32 guests and provides a great place for a corporate event or a small wedding reception. 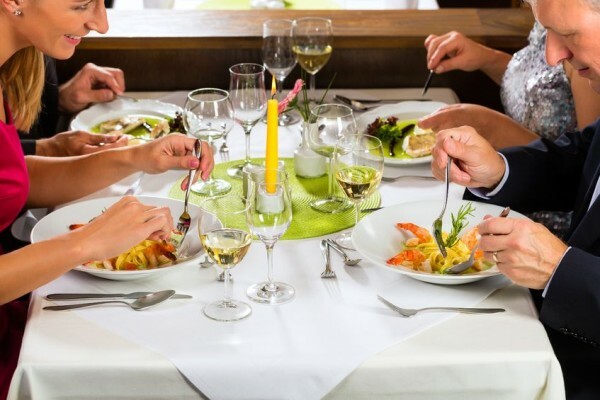 The entire restaurant can also be rented and seats up to 100 guests. Cotton Row Restaurant is found at 100 South Side Square in Huntsville. The restaurant is open from 4pm to 10pm, Monday through Saturday for dinner and from 11am to 2pm, Wednesday through Friday for lunch.